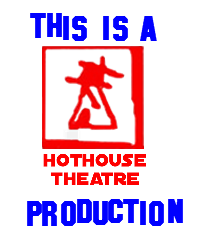 Hothouse is a small local charity whose aim is to use the creative process of putting on theatre, making films and producing the Oh My Nottz online magazine, to engage people of all abilities, develop self confidence, self esteem and to have a lot of fun into the bargain. Like all small charities, Hothouse is forever shamelessly looking for funds. What better way to raise funds than to do it through recycling stuff that you are only going to throw away. 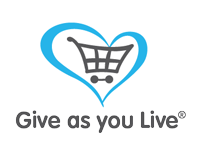 Well we now have several ways that you can support us and it won't cost you a penny. If you have a printer you will be a painfully aware just how quickly you go through the ink. Well, Hothouse is more than happy to take the old cartridges off your hands and turn them into extra sessions with young people with learning difficulties working on items for Oh My Nottz. There comes a time in everyone's life when the clothes cupboard is over flowing with out of date, out of size or simply worn out clothes. They may have sentimental value and all but you know that the time has come ... especially if you are going to find somewhere to put the new lot you have just spent a small fortune on. Hothouse Theatre can take then off your hands and turn them in a production of a brand new play by a local playwright. Whether it was a Christmas present from auntie Ethel, stuff left behind by that someone who no longer figures in your life or something that looked a lot better in the shop on your last holiday, after a sangria too many, we all have things we really don't want hanging around the house any more. Hothouse Theatre can find it a new home and in the process turn it into next year's film festival.